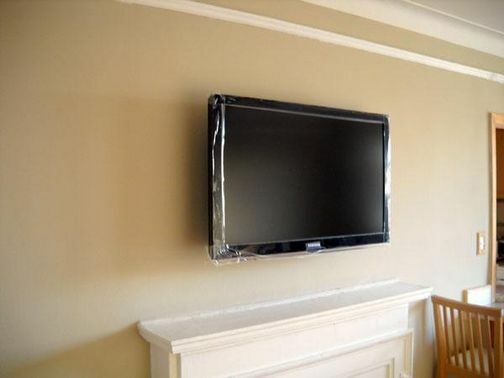 We fit TVs of all types, for example LCD, Plasma and LED to walls, ceilings and units. We fit to most substrates including solid stone, brick, block and plasterboard. We can supply and fit all types of wall bracket from flat to wall to tilt and swivel. Our company can also supply all types of trunking including D-Line to provide you with a neat and tidy solution. In lots of cases we can create a virtually invisible installation possibly inside hollow walls cupboards to leave your home looking tidy and clean. All of our installations are different, so the usual practice is to come out and survey the area for you to decide how you want us to install. Lots of televisions are very advanced these days, with many having network connections built in. This can offer a vast array if new digital services and programs. We can 'network' these services and set up all of the technical bits, meaning that all you have to do is use it....THANK GOODNESS FOR THAT! We can provide home cinema upgrades and installations and can carry out installations for 5.1 and 7.2 surround sound setups. We can carry out installations that can intergrate your iPad, iPhone, iPod or Android smart phone as a control device. We can also install 3D TVs and do anything to do with a television, old or new. All installations are different, so we would come out and survey the area and decide with you how you want us to install it using the available surroundings to minimize the visibility of cables both aerials and power leads. Please call us on 01934 611264, and we will be pleased to discuss your home cinema installation requirements with you. We look forward to hearing from you in the near future. Thank you for taking the time to look at our website.